Though often out of the ministry spotlight, ForeRunners are dedicated to serving God and others, any way they can. Theirs is a ministry of presence, helping people when they need it the most. ForeRunners—Foursquare ministers those who are credentialed ministers in good standing with a retirement status—often stand outside the ministry spotlight, like stealth intercessors ready to encourage, assist when invited, and sometimes even surprise people with their gift of presence. It was one of the rainiest weeks on record in Southern California, and one in which churches everywhere would celebrate Christmas that Sunday. Debbie Jameson should have been with her husband, Larry, preparing for Christmas services at Lifegate (Downey Ave./Paramount Foursquare Church), where they pastor in Paramount, Calif. Instead they found themselves miles from home and in search of an emergency room. The couple had been on their way home from a mini-vacation—an appreciation gift from their congregation—when Debbie developed severe symptoms caused by what was later diagnosed as diverticulitis. Debbie was hospitalized and called friends at home asking for prayer. Because the weather was so bad and she didn’t know anyone nearby, she certainly didn’t expect any visitors. Imagine her surprise when ForeRunners began to show up, seemingly out of nowhere. Other ForeRunners dropped by, and some who couldn’t come sent cards. All of them prayed. They offered Larry a place to stay while Debbie was in the hospital, and they encouraged the couple when they desperately needed a touch from God. “It was a Christmas gift I will never forget,” Debbie says. What happened in Debbie Jameson’s hospital room isn’t surprising to Southeast District ForeRunners representatives Kay and Ron Cleaver. They say ForeRunners encourage leaders around them, young and old, by being available to assist them whenever possible. For instance, after an illustrious career spanning a quarter-century as a U.S. Air Force chaplain, and then a 19-year stint as senior chaplain at a correctional facility, ForeRunner John Meyer is an active chaplain with the Civil Air Patrol in Ocala, Fla. In addition, John and his wife, Patsy, also volunteer at several nursing homes. They recently received local recognition for donating Nintendo Wii remotes and games to nursing home residents. Dorothy Jean Furlong, beloved teacher to generations of Foursquare leaders, now primarily ministers to people of all ages who have been diagnosed with cancer and are undergoing chemotherapy. Her method? She mails them Bible verses that she has found helpful and adds her thoughts about why the verses are meaningful. 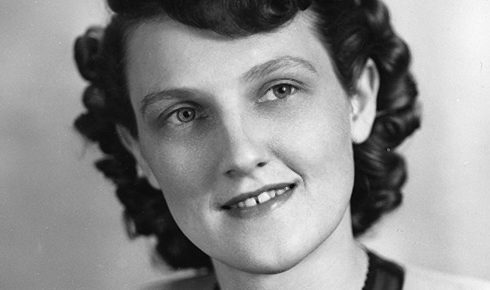 Dorothy Jean’s ministry through the mail has brought the encouragement of God’s Word to perhaps thousands of people, without ever leaving her home. At 91, Leland Edwards, former director of Foursquare Missions International, encourages young families around the world along with his wife, Barbara, using an e-mail newsletter they call Patriarch News. They regularly “meet” with global leaders via Skype and also have an active presence on Facebook, where they interact with anyone who contacts them. Retired Foursquare missionaries Sheila Ransford and Fred and Leah Horner volunteer with other ForeRunners on the assembly line and prepare shipments at Foursquare Missions Press (FMP). FMP is responsible for printing and shipping over 175 million pieces of free gospel literature and resources to 111 countries in the past 30 years. Foursquare luminary Mary Lou Canata, one of the original volunteers at FMP, connects ForeRunners through her newsletter, Mary Lou’s NewsBitz. Each month, 1,150 people receive NewsBitz via e-mail or hard copy. They regularly express gratitude for the opportunity to stay connected with one another. NewsBitz provides ForeRunners a place to share with others what is happening in their lives, where they are living, how to contact one another, prayer requests and current district ForeRunners events. There are 2,000 ForeRunners nationwide, and many are actively involved in ministry through local churches in the 14 Foursquare districts. ForeRunners sometimes serve at the request of district supervisors as interim pastors at churches in transition. They help out during district camps, and often serve as elders and prayer teams in their churches. The strongest ForeRunners are those whose ministry is welcomed and encouraged in the local church, according to ForeRunners representatives. Mary Lou Canata believes that every local church should have a faithful, creative leader in place to oversee the ministry to ForeRunners. She says having strong local church leaders who will care for, recognize and regularly connect ForeRunners with ministry opportunities is the key to helping ForeRunners stay active in service to others. This article is Part 1 in a two-part series. For more information on ForeRunners, visit www.foursquare.org/forerunners. Rod Light, M.A. 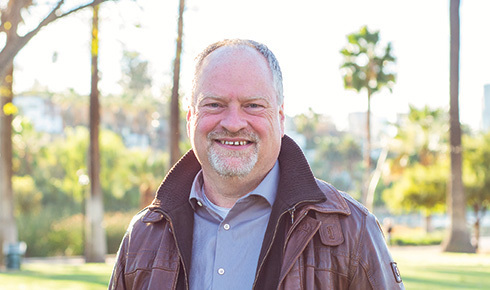 is an ordained Foursquare minister, Life Pacific College instructor and freelance writer.